A set of 4 high quality, 6mm thick rustic Welsh slate coasters.Each coaster is hand cut, allowing for a natural and completely unique finish.Fitted with protective cork pads on the underside, treated to resist staining and packaged in a gift box. Approximately 100mm x 100mm. 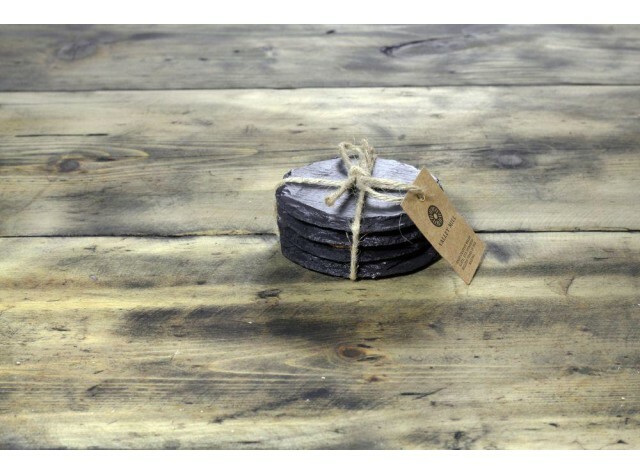 A set of 4 high quality, 6mm thick rustic Welsh slate coasters.